Onondaga Hall opened in 1968 as the second high rise dorm on West Campus and the fourth high rise dorm on SUNY Oswego’s campus. It is the only dorm on campus that offers suite-style living and is only available to students of at least sophomore standing. 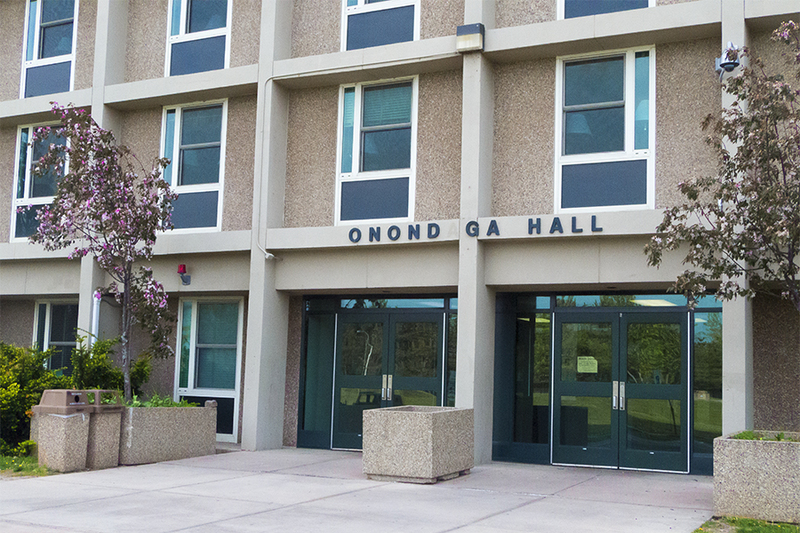 Similar to the other residence halls on West Campus, Onondaga Hall was named for a nation of the Iroquois Confederacy, the Onondaga, or peoples of the hills, who today reside to the south of Syracuse. The Onondaga identify themselves as the “keepers of the Central Fire” and their land is considered the capital of the Iroquois Confederacy.